You are here:Home » Category: "Boat Event"
Motorboat & Yachting: The 2016 London Boat Show will feature its largest ever launch, with the Sunseeker 131 Yacht due to get its public debut at the Excel Centre. The Sunseeker 131 Yacht will head up a fleet of eight Sunseeker models on display from January 8-17, including the best-selling Predator 57. 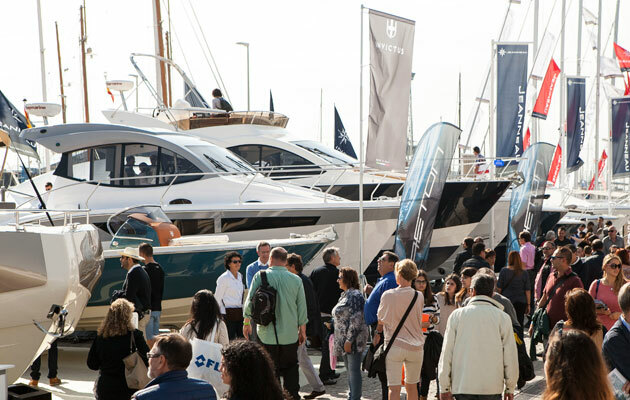 Motorboat & Yachting: The organisers of the Barcelona Boat Show have hailed the Spanish market, which has grown by more than 10% in the first nine months of the year. 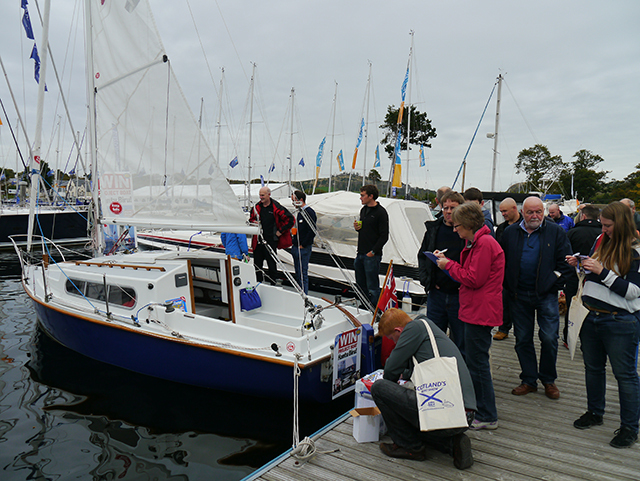 Practical Boat Owner: Scotland’s Boat Show 2015 at Kip Marina, Inverclyde broke every previous attendance record, attracting more than 16,000 visitors. Practical Boat Owner magazine’s Project Boat Hantu Biru was among the show’s attractions, with members of the public invited to step aboard the fully-restored Snapdragon 23. For the first time, the wheelchair-friendly Wheely Boat from Clycle Muirshiel offered free taster sessions at Scotland’s Boat Show. Show sponsors,RYA Scotland also offered Access Dinghy taster sessions, in conjunction with Clyde Muirshiel Regional Park, which enabled many youngsters to enjoy their first trip on to the water. Following the success of PBOs Ask the Experts LIVE! event at Beaulieu Boatjumble,we teamed up with the RYA Scotland to offer more expert talks during the show in the RYA Scotland Theatre thanks to Sika’sGareth Ross, International Paint’sKate Moss, CB Marine Servicessurveyor Colin Brown and Ocean Safety’sMichael Scott who provided liferaft amd lifejacket demonstrations. The show was officially opened by Minister for Business, Energy and Tourism Fergus Ewing. More than 90 boats were for sale at the event. 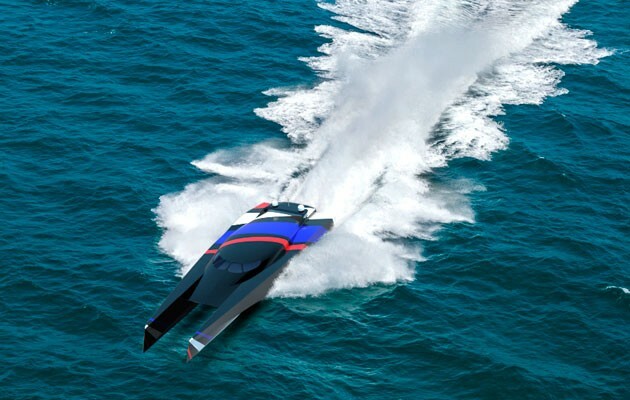 Other highlights included stalls showcasing the latest marine equipment in the RYA Scotland Pavilion, plus luxury cars from Rolls Royce, Bentley, Aston Martin, Maserati, Morgan and Porsche. Motorboat & Yachting: The organisers of the London Boat Show have announced that the Sunseeker stand will be revamped and repositioned for 2016. 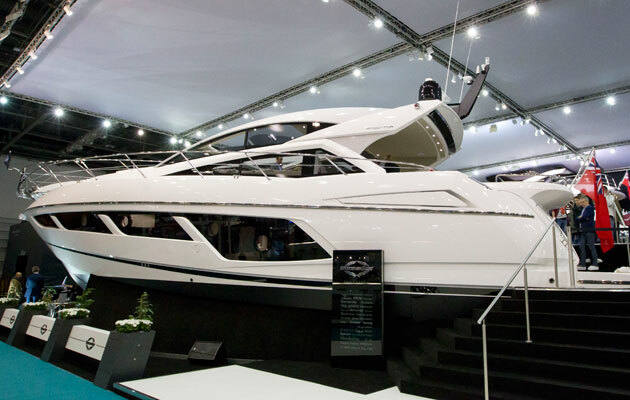 The Sunseeker stand is always one of the big draws for visitors to the London Boat Show, with celebrity appearances and luxury yachts on display. 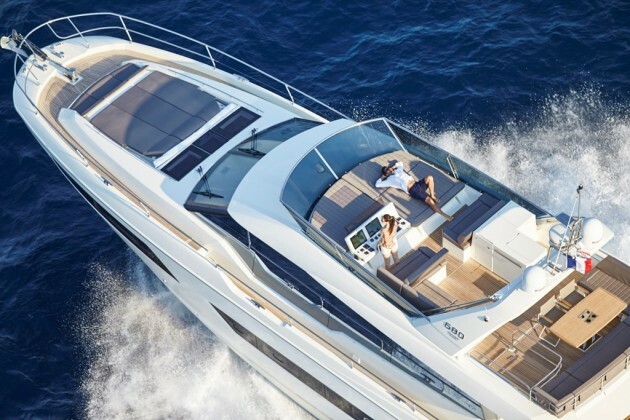 However, the 2016 London Boat Show will feature a different layout, with the Sunseeker stand shifted from the centre of the Excel Centre’s South Hall to run horizontally along the perimeter of the hall. Organisers British Marine Boat Shows say that this move will open up the show further, while keeping the Sunseeker stand in the eye-line of the entrance. 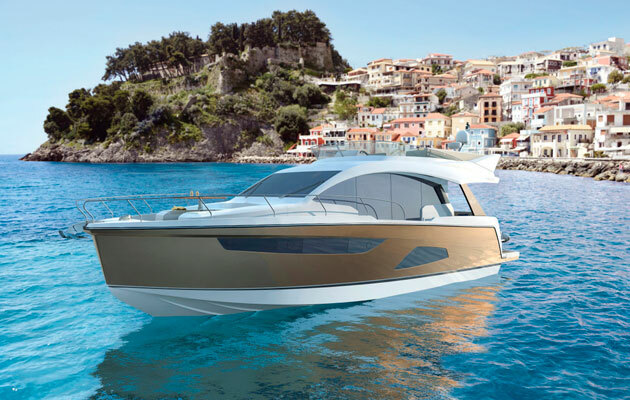 Sunseeker fans will be hoping for a brand new model launch at the 2016 London Boat Show, after the Poole-based yard decided against unveiling any new arrivals at any of the major autumn 2015 boat shows. 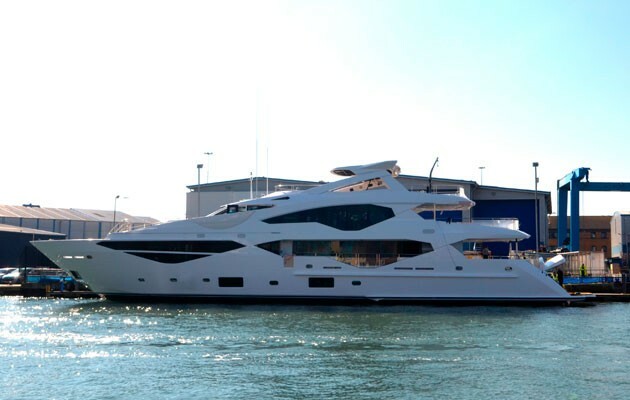 The 95 Yacht, 116 Yacht and 131 Yacht are all currently under development, and they are all longer than the Sunseeker 28M, which was the largest boat on display at the 2015 London Boat Show. The 2016 London Boat Show will run from January 8-17 and advance tickets are on sale now, with prices starting at £10 per adult. 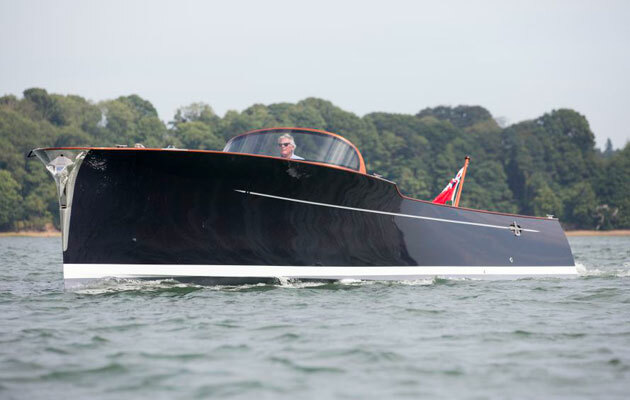 All aboard Scotland’s Boat Show – it starts today! 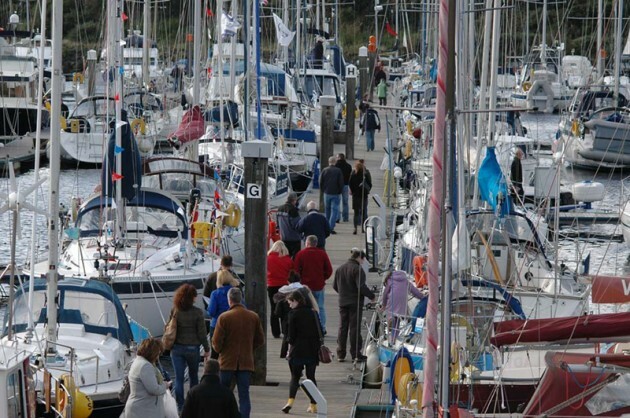 Pratical Boat Owner: The UK’s third largest boat show is under way at Kip Marina with free expert talks and demonstrations and a chance to win PBO’s fully-restored Project Boat. Following the success of the inaugural Pratical Boat Owner PBO Ask the Experts live!at Beaulieu Boatjumble, we’re teaming up withRYA Scotland to offer more top practical tips thanks to experts from International Paint, Sika, CB Marine Services and also Ocean Safety.. Find us in the RYA Scotland Workshop Marquee. 11.30 – 12.30 – Essential sealant tips and tricks:Sika’s technical services expert Gareth Ross will demonstrate how to use sealants for bonding and waterproofing on board. 14.00 – 15.00 Ocean Safety life raft demonstration: Ocean Safetywill discuss the importance of getting your safety equipment serviced, complete with a demonstration liferaft inflation. 15.00 – 16.00 Della from Clipper Round the World Yacht Racewill talk about the experience of racing around the world. Hear first hand what it is like to be part of the crew and also get some information if you think you are up to the challenge. 16.00 – 17.00 Hints and tips for viewing second-hand boats: PBO expert and Scottish surveyor Colin Brown, of CB Marine Services,will be talking about common problems that arise during surveys of second-hand boats and discussing common corrosion issues. 15.00 – 16.00 Professional paint job made easy: International Paint’s Kate Moss will explain the steps involved in painting your boat.